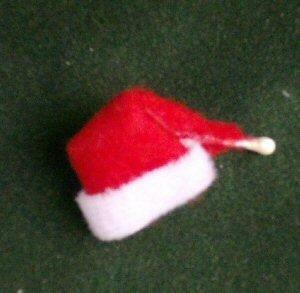 Tiny miniature Christmas tree for the dolls house. Supplied undecorated. 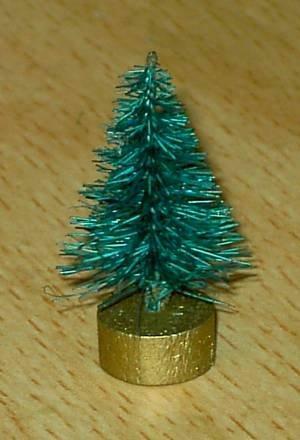 The sizes of these tiny trees vary between 30mm and 35mm (1.1" -1.3") tall including the base. Base can be removed so you can add your own pot (fancy bead). 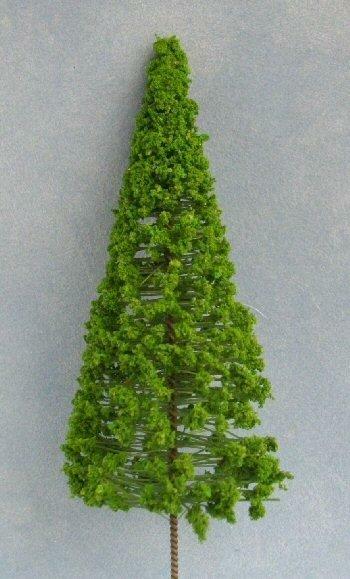 In 1/24th scale this tree would beapprox. 2.5ft tall. In 1/48th scale this tree would be approx. 5ft tall. 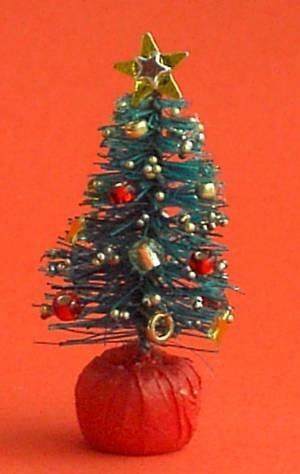 Picture of decorated tree to give you some inspiration for decoration.